If this photo needed a cheesy caption, it would probably say: A night to remember. And it indeed was a night to remember. I was on the way back from a camping trip to Yosemite when I decided to do a stop over in the Orcutt area on the Central Coast of California. My good friend Mark Garza had invited us for a surf session the next day and when we arrived the afternoon before, Mark greeted us with a big smile. It wasn't just that he was so glad to see us but he also had a brilliant idea: How about talking some friends into driving their cars to the beach? Well, this probably doesn't sound too exciting to you. But when I tell you that "cars" implies kustom cars and those kustom cars consisted of a 1946 Ford, a 1959 Chevy Wagon and a trio of Mercurys you'll start to get the picture. And if you know that Pismo Beach, which is only a short drive away from Orcutt, happens to be one of the last beaches of the West Coast where you can actually drive your car on the beach... Now you know that a kustom photographer's dream came true that night. 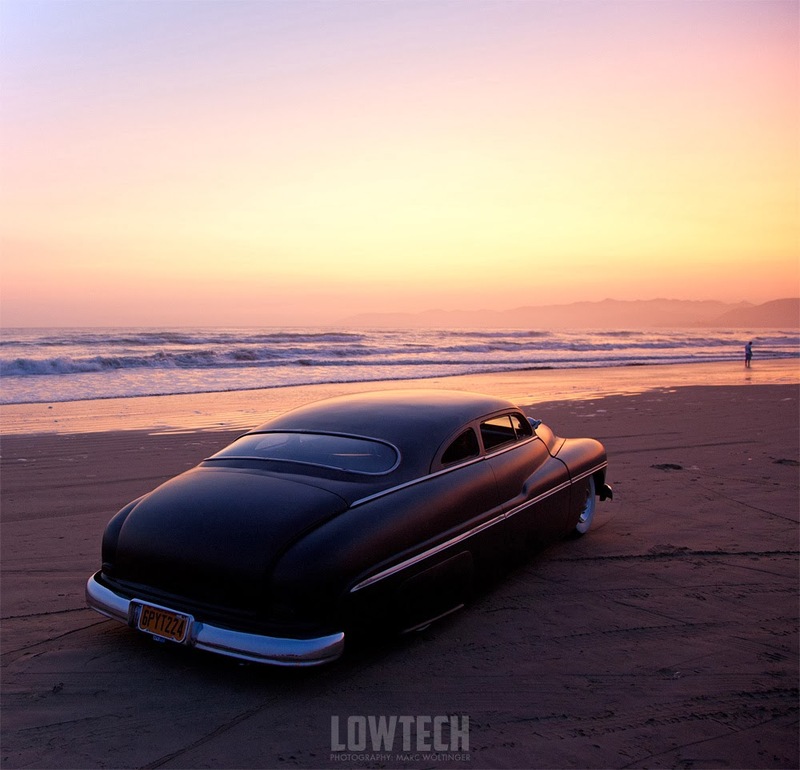 This is another photo preview from my book LOWTECH – The California Issue #1. Get your copy here. superb shot Mark, glad your dream came true ! thank you George! and thanks for the link on your facebook page. I really appreciate it!